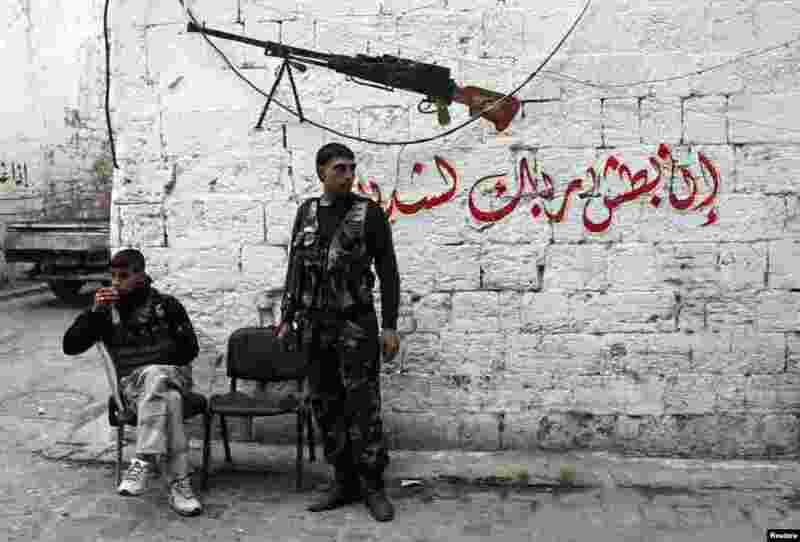 1 Free Syrian Army fighters rest in front of a graffiti that reads 'Surely your Lord's assault is strict indeed' in the old city of Aleppo, Jan. 22, 2014. 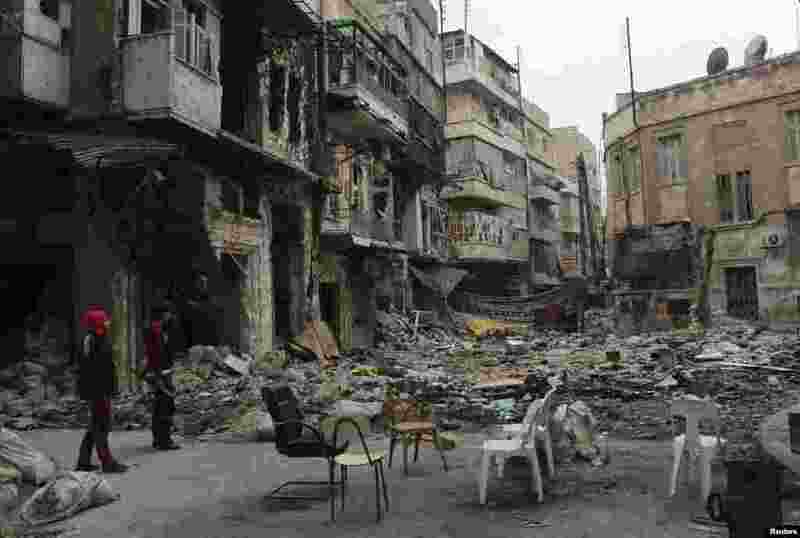 2 Free Syrian Army fighters stand along a deserted street filled with garbage and rubble in the old city of Aleppo, Jan. 22, 2014. 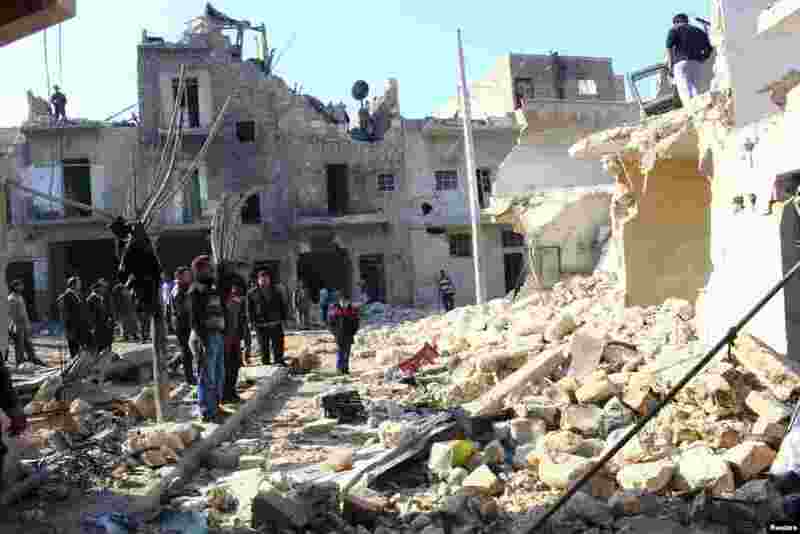 3 Residents inspect a damaged site after what activists said was an air strike by forces loyal to Syria's President Bashar al-Assad in Karam Al-Beik, Aleppo, Jan. 21, 2014. 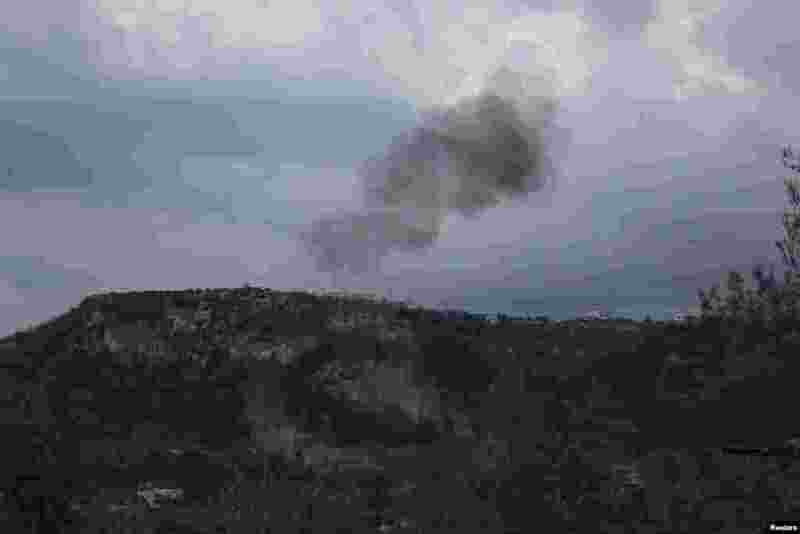 4 Smoke rises from what activists said were explosive barrels thrown by forces loyal to Syria's President Bashar al-Assad in Jabal al-Akrad, Latakia, Jan. 20, 2014.